Christmas Tree Pallet Tutorial | Be Plum Crazy! I don’t know about you, but I am always looking for something fresh to add to our holiday decorations. Last year, we upgraded our tree lights with a set of lights with a remote control so we can decide which colors we want. We had so much fun with those! 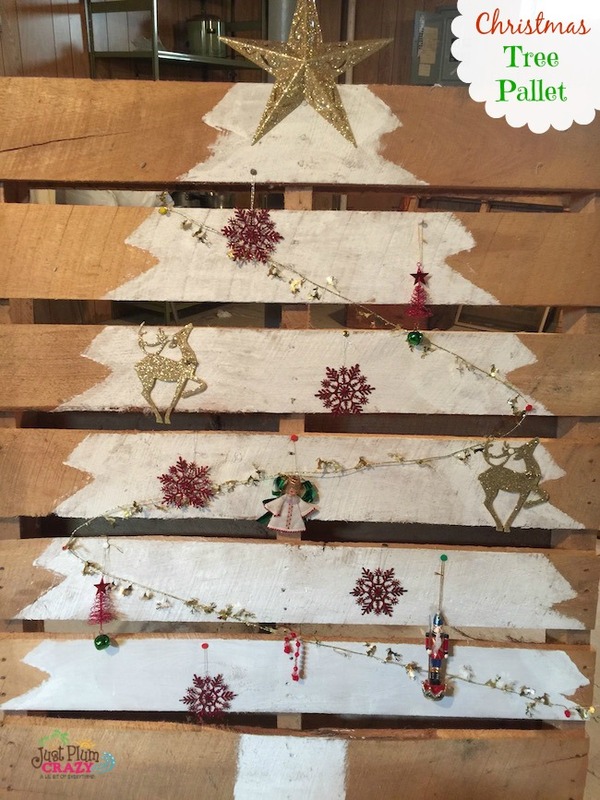 Today we have a Christmas Tree Pallet tutorial. Though it sounds like a pretty easy thing to do, there were a couple glitches along the way. 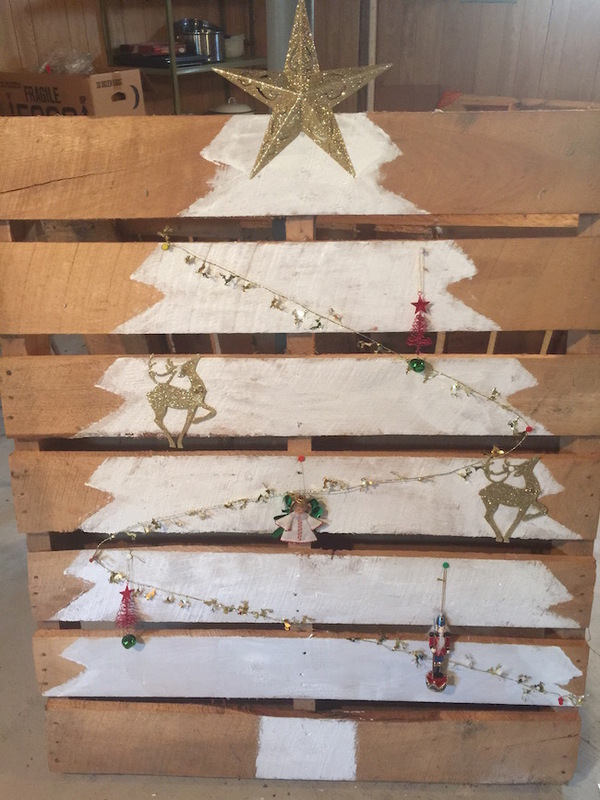 Read on and I will share some of my secrets to make the Christmas Tree Pallet! 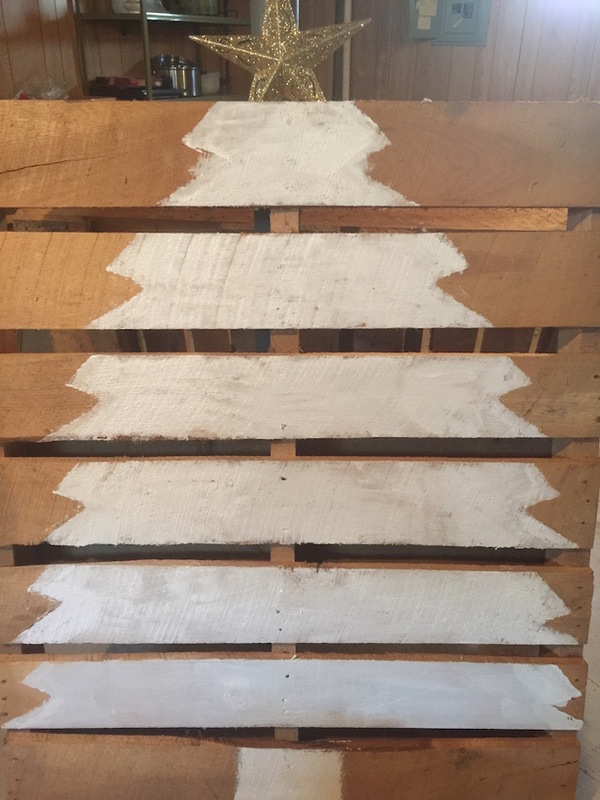 When you look at the Christmas Tree Pallet, you think to yourself (well at least I thought to myself) that looks easy, I can do that! 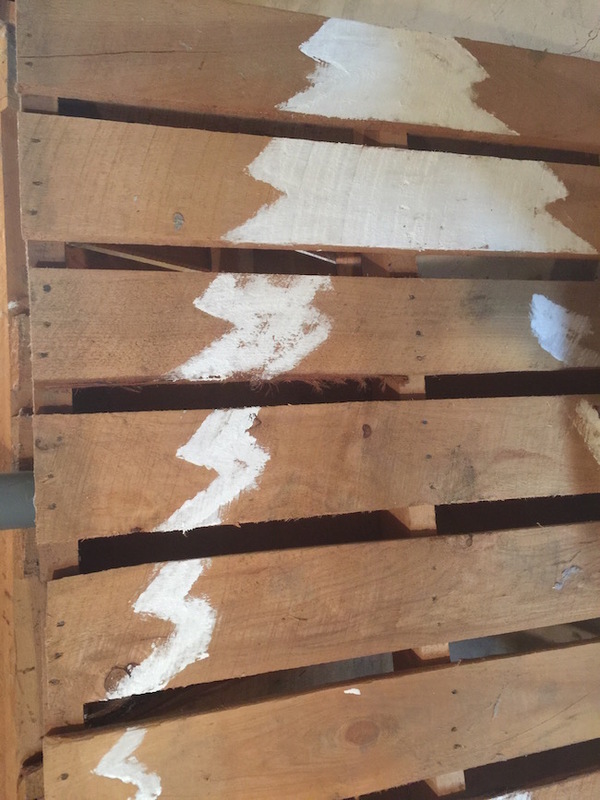 My father had tons of pallets in our basement because of the floods they had years ago. You can choose just any pallet you want, but I wanted one that had the slats all the same size or at least most of the same size. 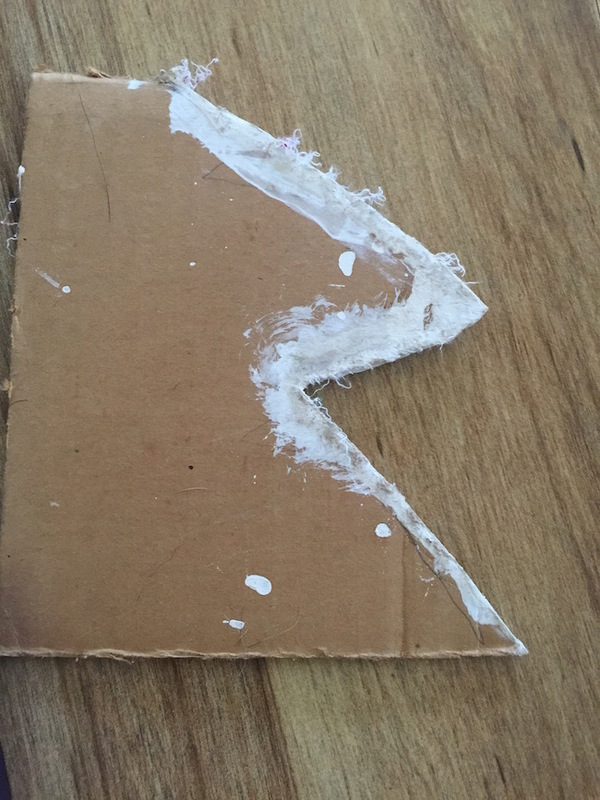 The two end pieces are a little larger but it worked out perfectly. So, I started to paint it. I used the Pro Tip Applicators that I had received and it was easy. That is until I couldn’t get the tips of the tree to all look the same. As you can tell by the top two, they were looking a little weird. And then it hit me…make a template. I could use it on both sides by turning it around. From then on, it was easy, peasy! I did all the edges and then filled in the rest. I waited until it was dry and added my ornaments and star. 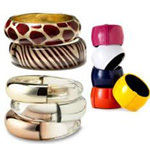 They came from the Dollar Tree, so all it costed me was the price of the acrylic paint which I picked up at Walmart. I added some more that I found laying around. I would have added ornaments that were handmade by my kids but they are in storage.